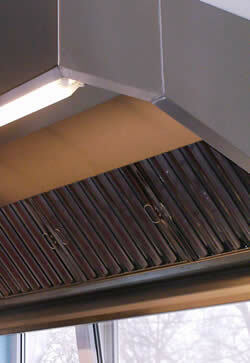 Cooking produces significant quantities of fumes and vapours as well as high temperatures. 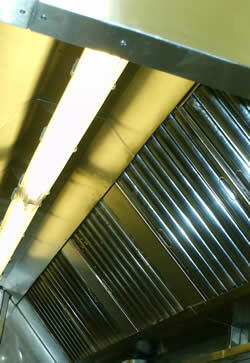 Ventilation systems are necessary to remove and discharge these to a safe external location. 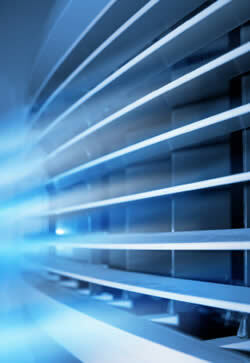 The ventilation system should also provide general ventilation throughout the area. It is particularly important to provide an adequate supply of replacement air, as incorrect flueing arrangements can lead to incomplete combustion and the accumulation of combustion products such as carbon monoxide.